Maybe there will be beautiful art at the show. Which makes me think of T.S. Eliot, of course. Right! maybe it’ll be like that. So why not dare to eat that peach? Oh, do not ask, “What is it?” / Let us go and make our visit. Okay! Heck, I might swing by, just to see the beauties and the beasts. Speaking of beastly, seems like fat bikes are now all the rage–ever since I wrote about them in an earlier blog post. (To wit, another Post article.) Even so…. I grow old, I grow old, I shall wear my trousers rolled…. Yes, I do wear my trousers rolled, because I’ve been commuting via bike to the park-n-ride bus station and nobody likes to get their trousers caught in a chainring. Anything to avoid the long drive to and from Denver each day for work. Anything to avoid contributing the climate change, which has me suddenly very freaked out. See, how I endlessly question myself? Just go to the bike show, just ride to and from the bus station. Stop thinking all the time! Sure, I am no prophet. So why not go, you and I, while the evening is spread out against the sky, for a nice, easy ride, then? Posted in Gearage, Poetic, Random, Winter. Tagged bike commuting, bike show, commuting, denver biking, do i dare eat a peach, existential crisis, fat bikes, handmade bikes, love song of j. alfred prufrock, t.s. 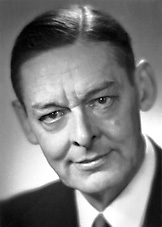 eliot.